The sofa is a beautiful piece in the home that requires proper maintenance to keep its quality for a long time. However, it is subject to wear and tear no matter how much you care for it. There are also times when it's inevitable that your beautiful piece gets spilled with your guest's wine, kid's milk, or pet's mishap. Stains are only one among the many reasons a sofa fabric and the furniture itself can become damaged. Most common issues include sagging cushions, ripped leather, torn foams, broken frames and chairs. In these cases, the sofa isn't just as comfortable as it once was, whether for yourself, your family, guests or clients in the business place. Sometimes, people simply get tired of their sofa and wishes to replace it for it does not look good anymore, or seems to be out of place after a renovation or acquiring an entirely new theme. Figuring out what to do with a large and bulky worn-out sofa can be a big challenge, and many are faced with the dilemma of having it repaired or replaced. 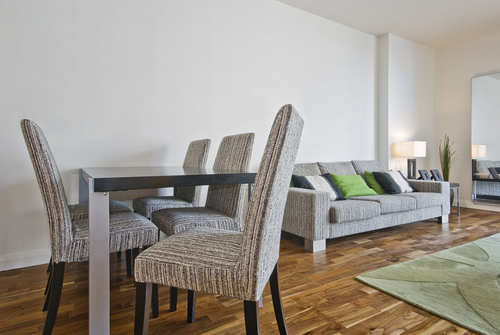 You can get more out of your furniture for less, by opting for repair and restoration instead of getting a replacement. Most issues can be dealt with by having a professional check out the problem firsthand, and find the best possible solution. It's possible to put your sofa back to great shape and make good use of it once more for many more years. So before you think of getting rid of your beloved sofa, think about reusing it. Is it really ruined and totally destroyed? Check first if the damaged fabric can still be worked on and a good spruce up can make it look new again. Explore other options before tossing out your sofa along with the money you initially spent on it, and the money you can save if you have it professionally cleaned or repaired rather than purchasing a new one. Sometimes, all it takes is to give it some thorough cleaning or rent a steam cleaner to get stains out. Better yet, have it done by professionals who would know exactly what to do. They can apply the right cleaning methods and products to restore your sofa's comfy state and inviting appearance, without causing any further damage. You can also be certain that it will be done effectively and efficiently, saving you time from undertaking the task itself. Laden your sofa with new throws or pillows to freshen it up and give life to a piece of your home that's become dul over time. Slipcovers are also great alternatives, arriving in various colors, textiles, and can even be customized to your liking. If you no longer want the style of your sofa in your living room, then you can probably get it cleaned to serve a new purpose at the guest room, basement, garage, or any other recreational space. Another possibility is to have your sofa reupholstered as necessary to address the damaged sofa fabric. 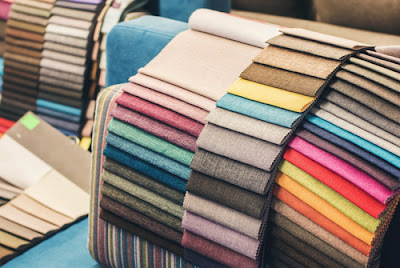 Professionals can completely redo the foam, seat cushions, fabric, PVC or leather, broken stitching, zips, damaged panels and linings altogether. The entire sofa will be replenished with new components and given a new look and feel, but can sometimes cost as much as a new couch given the numerous modern sofa options today. The good thing about opting for reupholstery is that you get a custom piece exactly how you like it done. The sofa will be recovered all throughout and can be made to match your home or office theme to complement other surrounding decor. Moreover, save yourself the trouble of getting rid of the big sofa, and have the assurance of high-quality craftsmanship of your newly made sofa. Repairing your furniture is definitely one thing to consider especially when the cost of your furniture was quite a gem when you bought it. Typically older and more expensive sofa is the perfect candidate for a repair, having spent thousands of dollars for the exquisite furniture. Professionals can restore it inside and out with the right tools and skills in order to preserve this valuable asset. This sofa that's been compromised might also be a beloved heirloom which you cannot part with. Investing in a sofa repair will give you back this piece of old furniture that has been transformed to remarkably look and feel as if it's totally new without the high price. Getting a replacement can also be a good option in some cases and seems to be the best way to go for some people who have the luxury to spend. 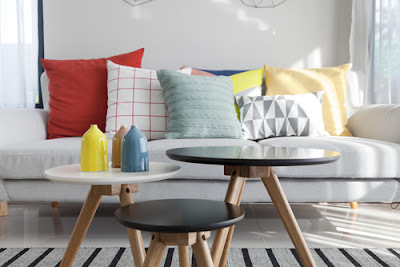 You can swap out that upholstery for something you love in the snap of your fingers, and instantly have a new look for your home without having to wait. It's as fast as giving your money to the furniture shop seller and incorporating the furniture in your living room or anywhere you want to place your new sofa. If you really wish to have your sofa immediately replaced, make sure you buy a high-quality sofa that will last longer and withstand wear and tear better than the cheaper and poorly made furniture. Give it utmost care from day one, and be quick to wipe away spills, observe precautions to keep pets from scratching surface, and address any slight damage right away. Come to think of it, out of the many options to have your sofa repaired instead of replaced, why go through the hassle of buying something new? Only to add the fuss of shopping for a new one, bringing it back to your place, maybe even have to put it together on your own, and ultimately discarding the old one. When it comes to businesses, replacing even just one sofa can be costly yet a nice looking chair greatly contributes to a positive business image and reputation. When it comes to family belongings, family heirlooms and treasured pieces is one thing in this world that's priceless, and professional cleaning or sofa repair proves to be the best choice.